·For the banquet hall on the second floor, you can use various workshops and conferences / exhibitions. There is also a wonderful banquet hall in the main building. The evening party at the observation restaurant on the 9th floor is popular if you can see the whole city. ·There is also a great plan that has become a set with accommodation. 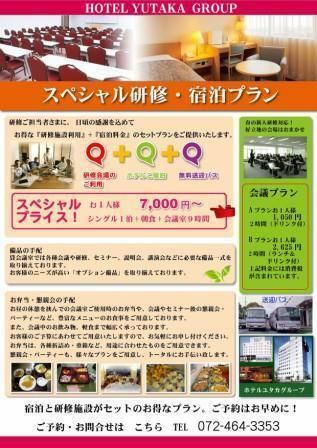 We started beer garden in Sun Plus Yutaka of affiliate hotel. Every Friday / Saturday, business, from 18 o'clock to 22 o'clock. ☎071-461-2911, to the hotel Sun Plus front desk. The beer garden ended at the end of August. 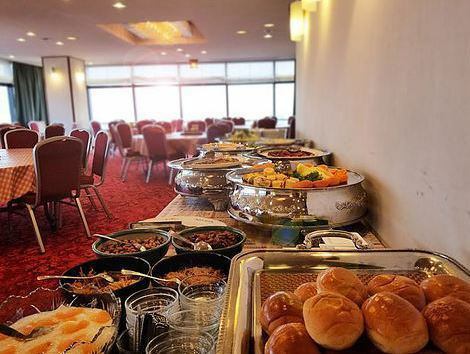 ·The breakfast will be in a Japanese style Western style buffet style. Please spend a healthy day with a healthy breakfast. The picture is on the 9th floor buffet.